Due to the success of all the first set of copies being handed out, the project went through a second print run. 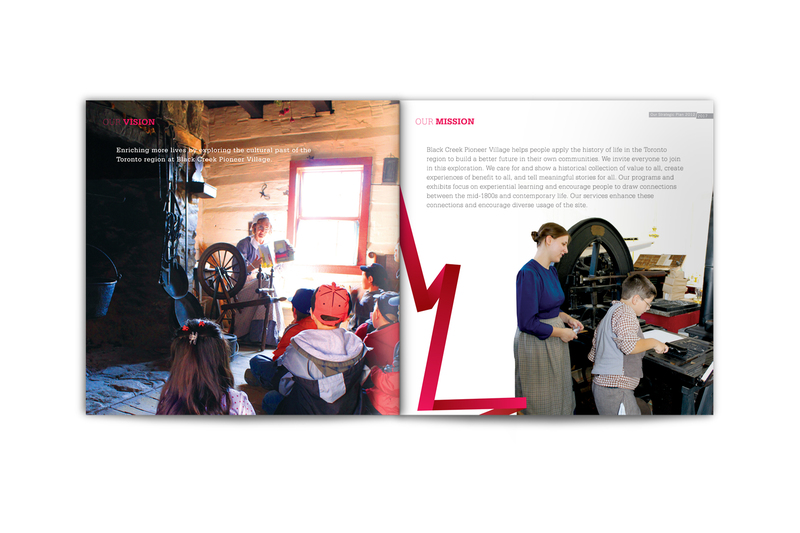 Set in actual preserved historic buildings, Black Creek Pioneer Village has been teaching children and adults alike to how life was like in the 1800s. 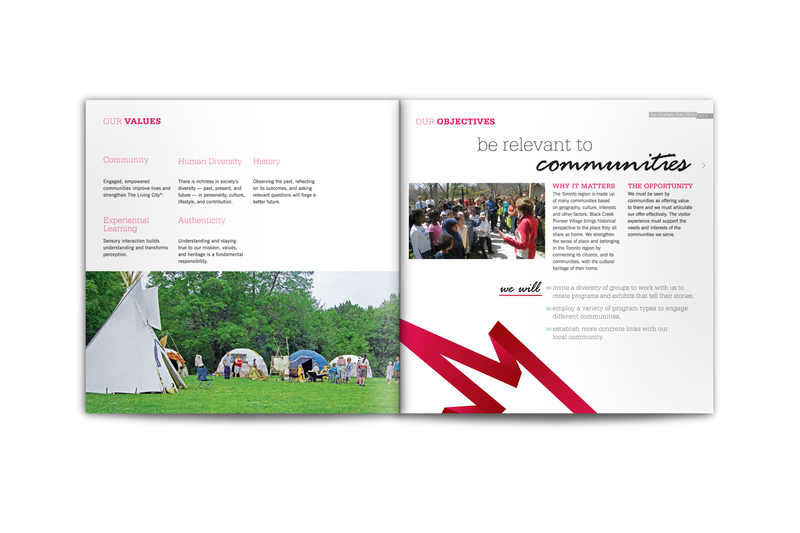 Seeing the need to continue teaching history, while attracting new audiences, it set out to realign its objectives through a strategic plan that coincided with Canada's 150th birthday in 2017. By using Canada's iconic maple leaf as an abstract ribbon, I established an exciting and dynamic visual aid. 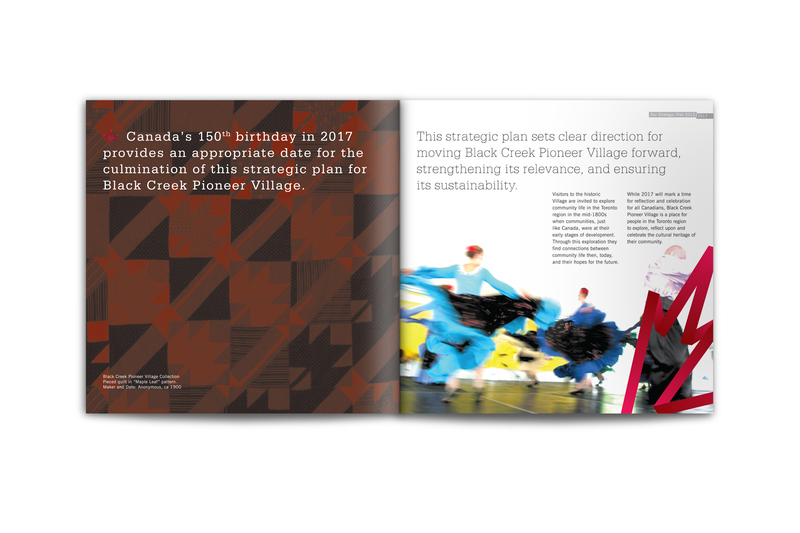 By placing the start of this visual aid on the cover, running it throughout the brochure, and all the way to the final page, it signifies the connection of past and future.